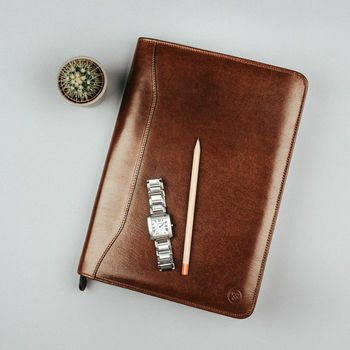 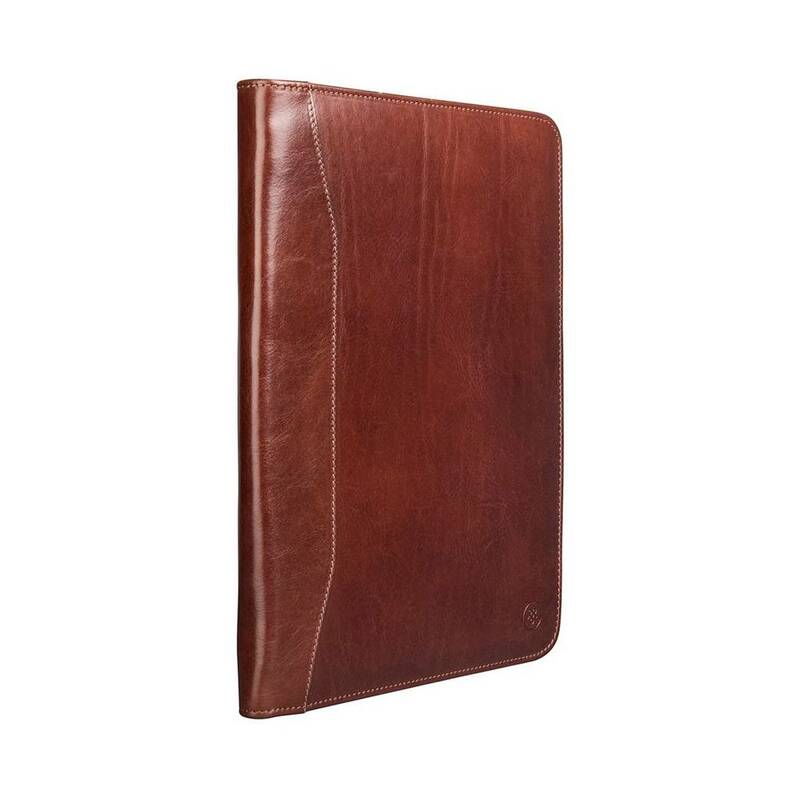 The perfect office accessory, write your notes in style with the Dimaro leather A4 conference folder. 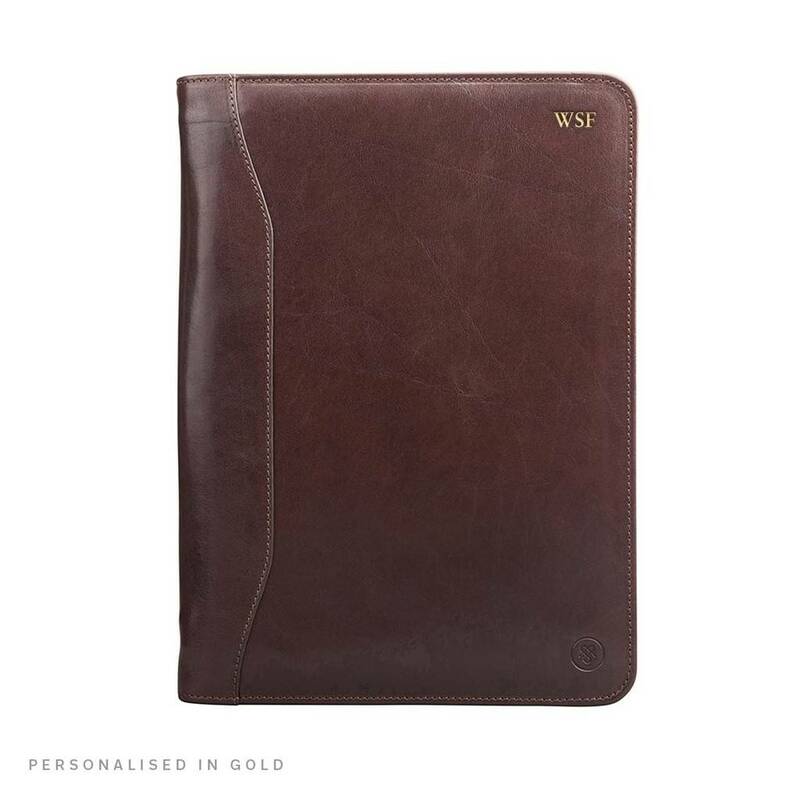 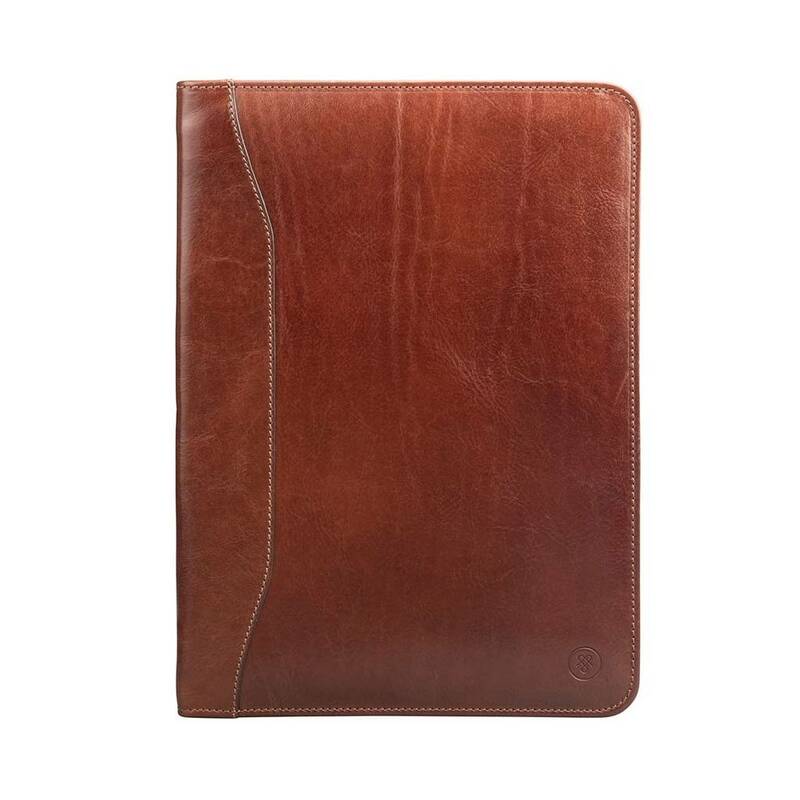 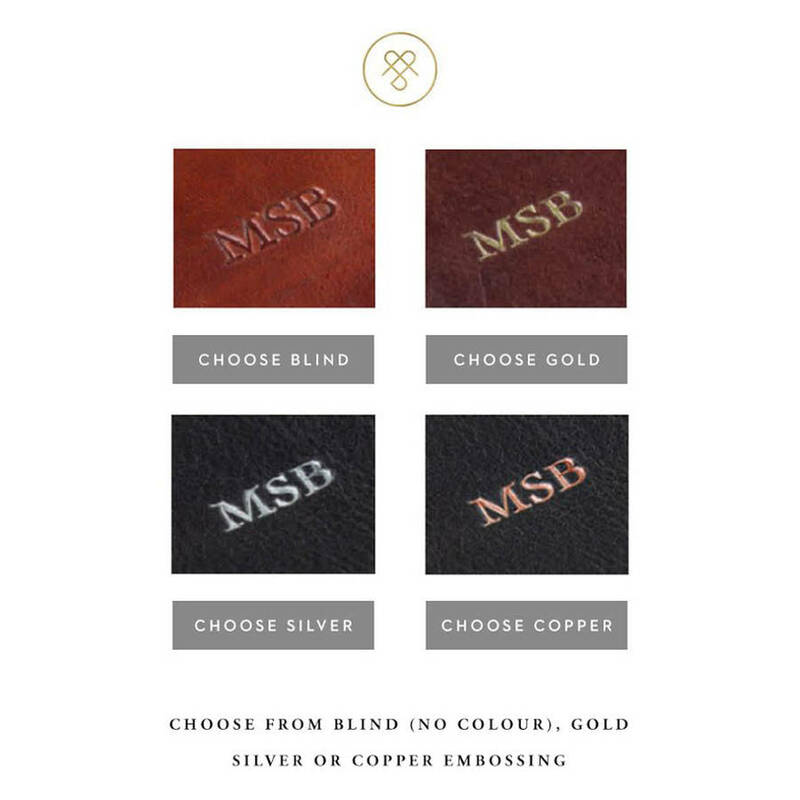 This luxury leather conference folder is the ideal accessory for business meetings and everyday use. 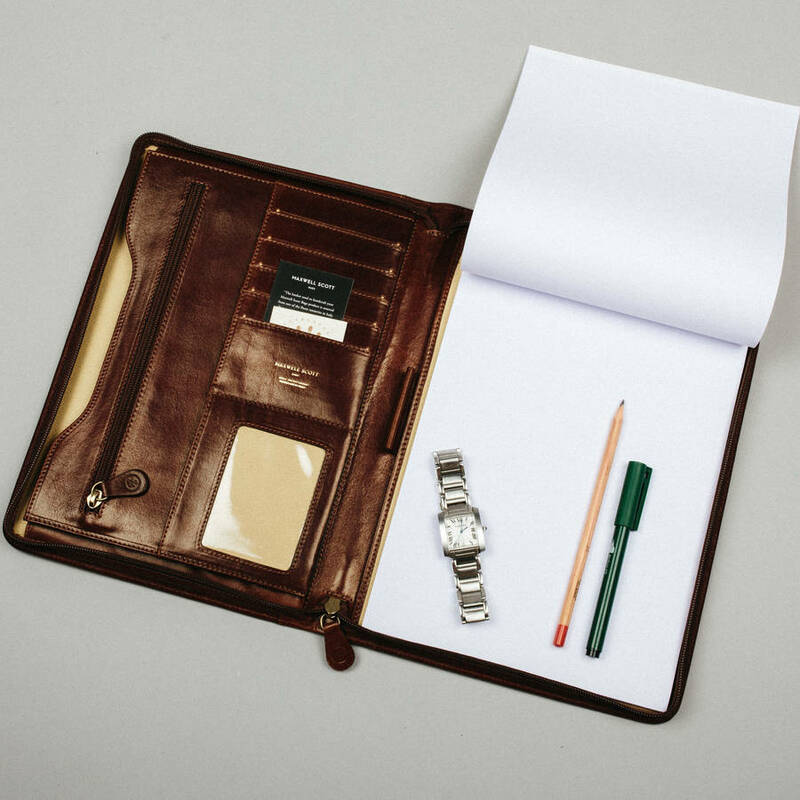 A mix of style and practicality, the folder includes several card slots, an A4 writing pad and an internal zip pocket. 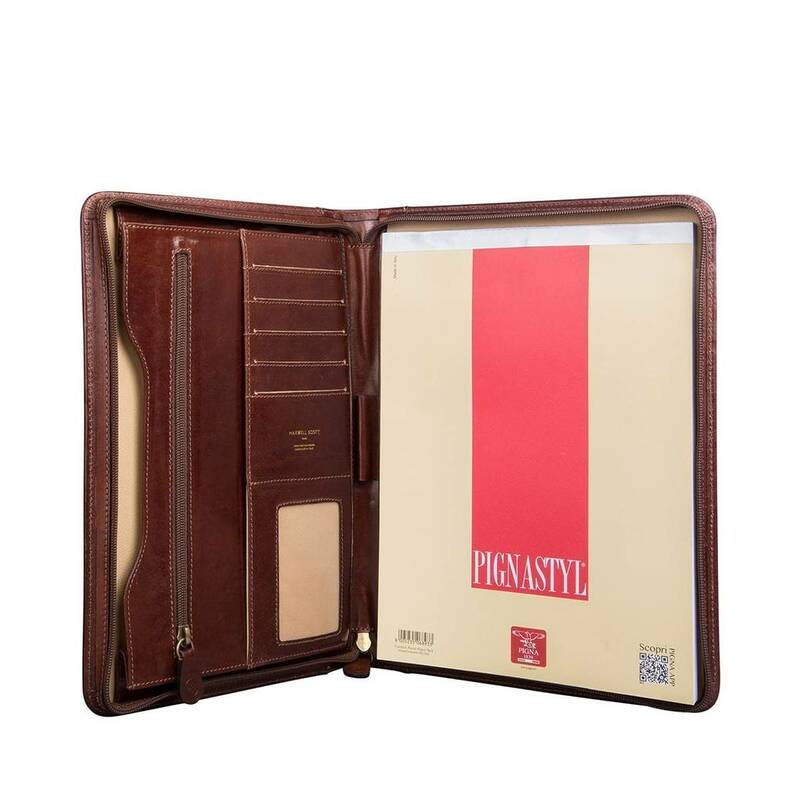 There is additionally a slip section for loose documents, which means that this accessory is fully equipped to suit the smart executive. The full zip opening also adds to the ease of use of this folder. An accessory that is sure to make an impression, the Dimaro is a sleek and useful addition to your work wardrobe. Vegetable-tanned Italian leather from one of the most prestigious tanneries in the world. 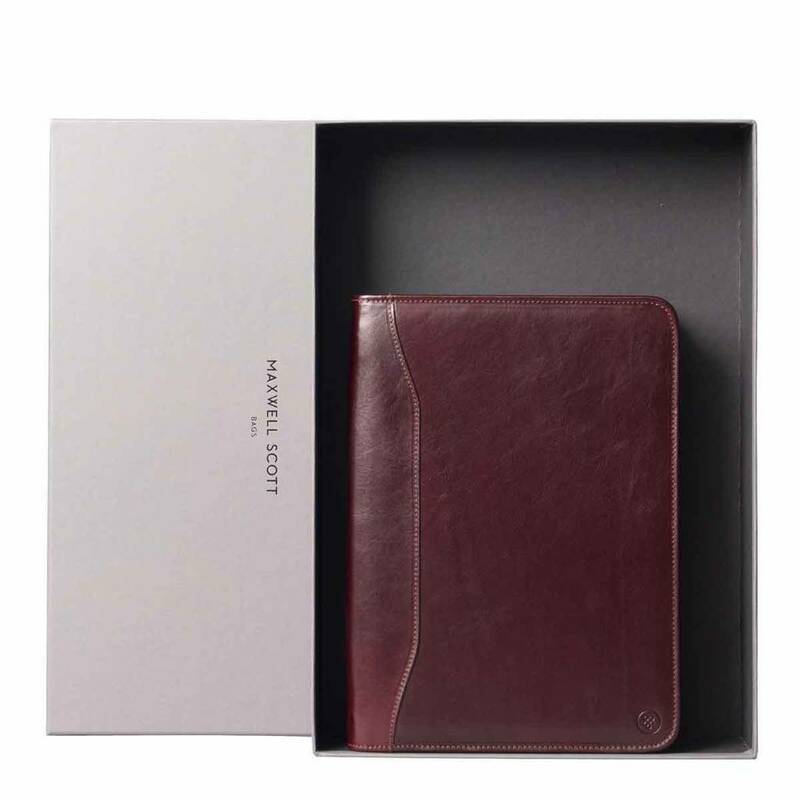 Our renowned tannery is located in the heart of Tuscany and masters a traditional art. 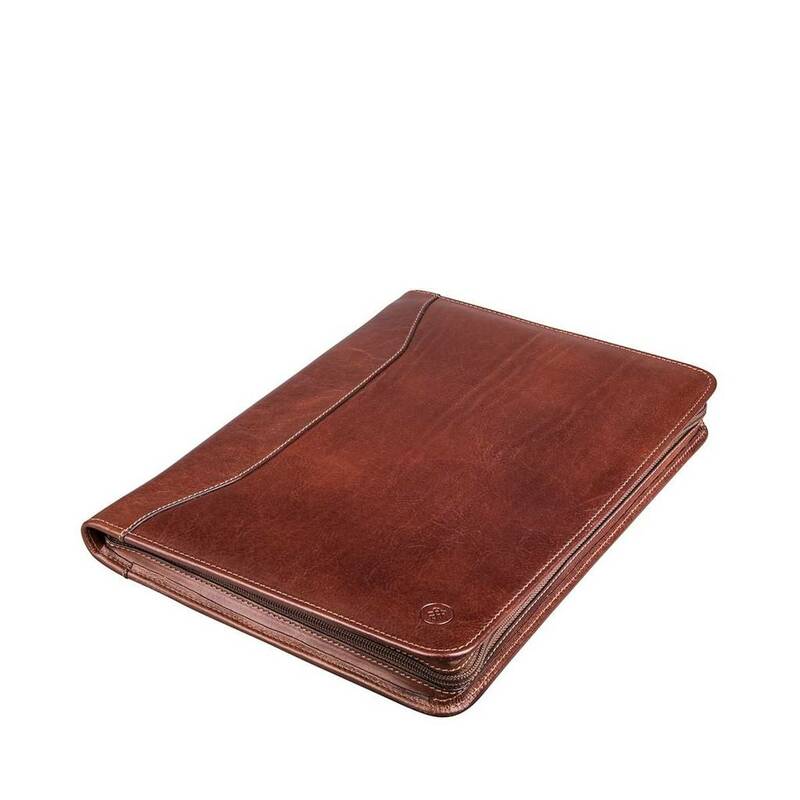 Members of the highly esteemed Italian Consortium of Leather Tanners, they abide by strict standards and rigorous quality checks to ensure the production of signature leathers for Maxwell-Scott. 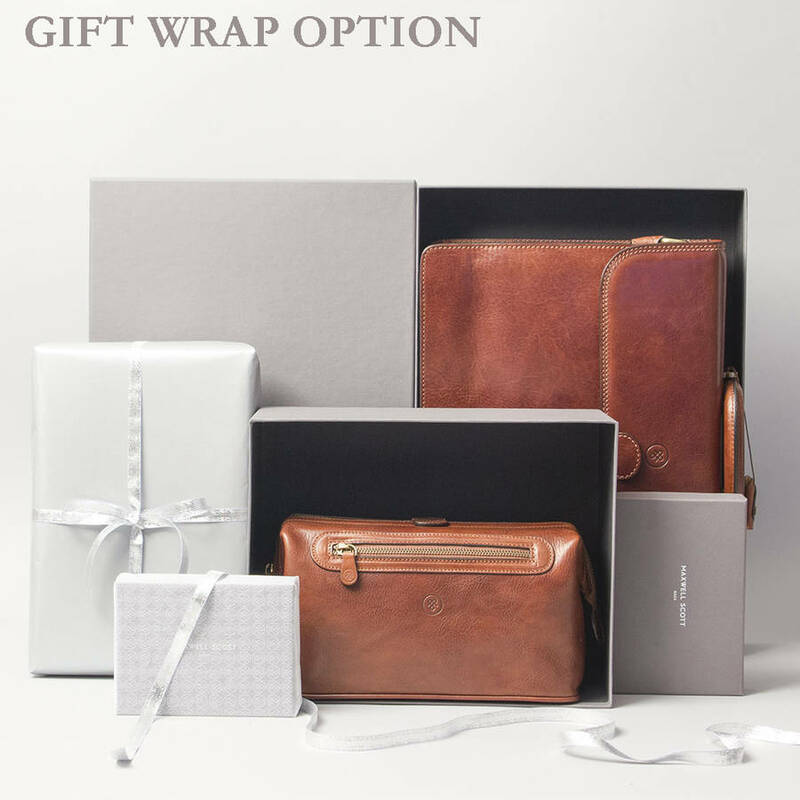 This product is dispatched to you by Maxwell Scott Bags.